Goddard, based by its elite defense, pulled one of the biggest upsets of semifinal week with a 15-14 road win versus McPherson in the Class 4A West sub-state. McPherson had set multiple school offensive records, entered the game undefeated, had its best season in more than 90 years and was vying for its first trip to a state title game. In the quarterfinals, Goddard was on the road at Wellington and trailed 14-0 at halftime before rallying for a 28-14 victory. Against McPherson, the Lions trailed most of the contest. McPherson led 14-7 at halftime, and Goddard drew closer within 14-9 with a safety after a Bullpup bad snap. McPherson tried to move the score to 17-9 with 3:03 left in the third quarter, but Goddard blocked a field goal. Then, the Lions scored with 4:29 remaining on a rushing touchdown from Ben Bannister. Goddard intercepted standout Kyler Hoppes in the end zone with 25 seconds left. From 2014-2018, 60 Kansas 11-man teams have played for a state football championship. Goddard has scored 25.1 points and permitted 12.3. The offense ranks No. 58, just ahead of 2015 4A-II Holton (24.8) and 2014 2-1A Ell-Saline (24.2). No other squad is lower than 28.6, and all but six squads have averaged at least 30 points a contest, according to Prep Power Index archives. Goddard fits the profile of those squads – all three earned one-point wins in the semifinals. Each were underdogs in the championship game, but Ell-Saline lost to Olpe in a game that was decided late, and Holton fell 21-0 to Holcomb. Goddard will face off against four-time defending champion Bishop Miege on Saturday. However, Goddard’s defense is state championship quality. The Lions have permitted just 12.3 points per contest, No. 21 among the 60 squads. Goddard has outscored teams by an average margin of 12.8 points, the eighth-smallest margin of the 60. Goddard is 1-1 in overtime contests with a 17-16 victory in Week 3 versus Andover Central and a 23-22 double overtime road loss at Maize South. Goddard also lost to Maize, 27-2, but that was just the third-fewest points the Eagles – a Class 5A semifinalist – scored all season. Coach Tommy Beason, a former assistant to Scott Vang and in his first year as head coach, has had several highlighted coaching moments. After the Maize loss, Goddard had averaged just 19.4 points a contest. The Lions have delivered 29.1 points a game since after Goddard made several significant offensive changes, including using a tight end. Beason, because of the confidence he had in his team, also made up AVCTL Division II champion shirts before the Lions won the league title. He didn’t tell his players and then in a surprise presented the shirts on the field after the 32-3 win versus Andover in Week 8. The Lions have the fourth-best defense in 4A. Two years ago, Goddard reached the Class 5A state title game and led the classification with just 16.6 points per game. Last season, the Lions again paced 5A with 13.7 points permitted. Goddard graduated six of its top-eight tacklers from a squad that averaged 7.5 tackles for loss, 2.6 sacks and forced 27 turnovers. Goddard quarterback Kyler Semrad, as a freshman in 2017, stepped in and threw for 486 yards with a 9/4 TD/INT ratio when standout Blake Sullivan was hurt. Bannister rushed for 1,029 yards and six scores. Goddard was plus-6 in turnover margin and committed 21 turnovers. This season, Bannister has put up another big year with 1,114 rushing and 12 scores. Semrad has received the bulk of the playing time and shared some with senior Jared Mocaby. They have thrown for 1,966 yards with a 17/11 TD/INT ratio as Goddard has committed 20 turnovers. But Goddard has forced 32 turnovers, has averaged 7.7 TFLs and 3.5 sacks a contest. Junior Dhimani Butler has 97 tackles, while senior Kam’ron Gonzalez has 88 tackles. Junior Zeke Howell has enjoyed an exceptional year with 18 sacks. Senior Gentry Cole has picked off six passes, and junior Nalell Kapten has five. We talked about this earlier this season on the Kansas Kickoff Show, but I wanted to again mention our appreciation of Caleb Grill’s football season. Grill, a talented basketball player with multiple D-1 offers, continued to play football throughout his high school career. The talented senior quarterback passed for 3,122 yards and 45 touchdowns this season in leading the Eagles to the 5A state semifinals. In Maize’s 67-60 loss to Wichita Northwest in last week’s semifinal, Grill passed for more than 500 yards and threw seven touchdown passes. The Eagles trailed by 19 points entering the fourth quarter, but Grill led his team on three touchdowns drives to take a 60-59 lead with under three minutes remaining. That performance capped an eventful week for Grill, who signed to play basketball at South Dakota State a couple of days earlier. Grill’s outstanding senior season can be used as the poster example of the benefits of being a multi-sport athlete. In a time of increasing levels of specialization, especially among future D1 athletes, we appreciate Grill’s decision to play football and help his team to only the second state semifinal in school history. Not only has Daymonn Sanchez been one of the top running backs in the state this season, he’s been an absolute workhorse for the Eagle offense. Sanchez (6-2, 170) completed an incredible senior season as one of the leading rushers in Kansas with 2,413 yards and 29 touchdowns. Maybe even more impressive, is that he was second in the state in total rushing attempts with 272, trailing only Tonganoxie’s Korbin Riedel who carried 280 times for 1,531 yards. In Olathe North’s four playoff games, Sanchez carried 105 times for 860 yards and six touchdowns. He helped lead the Eagles to the Class 6A state semifinals where they fell 51-49 to defending champion Blue Valley North. In his final game, Sanchez rushed for 238 yards and a touchdown on 30 carries. For his career, Daymonn carried 423 times for 3,731 yards and 43 scores. Sanchez finished his career with 18, 100-yard games, including eclipsing the 100-yard mark in 17 of 23 games in his junior and senior seasons. Sanchez went over 100 yards eleven times this season, and had six games over 200-yards. Also a capable receiver, Sanchez had 36 career receptions for 582 yards and eight touchdowns. Sanchez and sophomore quarterback Arland Bruce, IV combined to rush for 3,792 of Olathe North’s 4,279 rushing yards this season. The Eagles averaged 7.8 yards per carry this season, a huge indication of how well the Eagle offensive line played. Riley County advanced to the first state title game since 1993 with a 46-16 win over Humboldt. The Falcons jumped out to a 25-0 lead and scored twice after halftime to extend their advantage to 39-8. Senior Mikey Waggoner rushed for 135 yards and five touchdowns in the win to push his season total to 1,147 yards and 22 touchdowns. Waggoner now has back-to-back 1,000-yard seasons after rushing for 1,003 yards and 12 scores last season. At one point, Waggoner wasn’t expected to play football his senior season, but has been a key reason the Falcons will play for a state title on Saturday. Another of key reason for the Falcons’ success is an experienced offensive line that returned four senior starters this fall including Brett Halstead, Dylan Anderson, Wyatt Thurlow, Trystin McCoy, and junior Kameron Brown. Junior Garrett Harmision has stepped in at quarterback this season and has flourished with the Falcons’ new spread elements. Harmison has passed for 1,930 yards and 23 touchdowns this season, while rushing for six more scores. In last week’s win over Humboldt, Harmison passed for 130 yards and added 95 yards on the ground including a touchdown. Saturday, Riley County will take on top-ranked Phillipsburg in the Class 2A State Championship Game in Salina. This will be the third meeting all time between Riley County and Phillipsburg as the two temas will meet for a third consecutive year. The Falcons and Panthers met in the first round of the playoffs in each of the past two seasons with Phillipsburg winning 49-27 in 2016, and 48-13 last season. Solomon began the season ranked No. 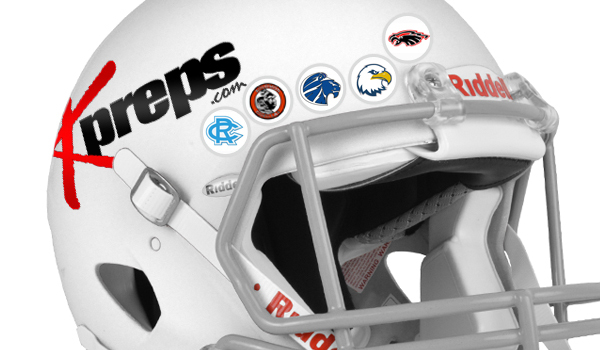 5 in the Kpreps preseason Eight-Man, Division I poll. The Gorillas remained in the poll, climbing to as high as No. 4, until a 38-20 district loss to Canton-Galva in Week 7. Solomon, a team that finished an injury-riddled season with a 5-4 record a year ago, was expected to contend this season on the strength of as many as six returning starters on each side of the ball. Maybe most importantly, the Gorillas had leadership behind center in Braden Neilson, a three-year starter at quarterback. While the loss to Canton-Galva may have dropped the Gorillas off of the state’s radar, Solomon responded with a 28-12 victory over the Eagles in last week’s rematch to earn the first state football title game appearance in school history. Neilson rushed for 112 yards and a touchdown, and added 52 yards passing and another score. For the season, the 6-foot-2, 185-pound Neilson has rushed for 1,066 yards and 21 touchdowns, while passing for 894 yards and 16 scores. Neilson has produced 4,993 yards of total offense and a combined 98 touchdowns in his high school career. He’s passed for 2,828 yards and 52 touchdowns, while rushing for 2,165 yards and 46 scores. Fellow seniors Logan Krause and Jobe Fowles have also been key for the Gorillas. Krause is the team’s leading rusher with 1,119 yards and 25 touchdowns, while Fowles has 767 yards on the ground and six scores. Fowles rushed for 90 yards and a touchdown in the win over Canton-Galva last week. Fowles is also among the leaders of the Gorilla defense with 87 tackles, including 22 for loss and ten sacks. Senior Eli Basvic leads the team with 120 tackles, including 25 for loss, while Neilson has 104 stops and Krause has 18 tackles for loss and a team-high 11.5 sacks. Solomon will need to play at a high level to take down top-ranked Central Plains and its smothering defense. The Gorillas and Oilers met for five straight seasons from 2011 to 2015 while competing in the same district. Central Plains won all five meetings by an average margin of 37 points. In fact, it was a 4-5 Central Plains team that interrupted Solomon’s perfect season in 2012 with a 56-52 upset in district play.